Starting your day with a refreshing green smoothie is the best way to start your day. It leaves hundreds of positive effects on your body, including better digestion, clearer skin, lesser stress and improved circulation. Better digestion, helps in keeping stomach clean by flushing out all the toxins from the body. Sip your way to a clear, glowing complexion with these healthy green drinks that taste good as well. Stomach cleanser Green smoothie: It is a strongest smoothie that contains all detoxifying ingredients such as mint and lemon. The taste is refreshing as mint pairs nicely with the lemon in this smoothie, creating a light and delicious green-colored drink. Other than this, it includes ginger and cucumber. Mint reduces bloating and detoxifies blood. Lemon aids in digestion by flushing out toxins from the liver and kidneys besides detoxifying blood. Green tea cooler: This smoothie combines two powerful skin foods: organic yoghurt and green tea. Yoghurt contains active cultures that provide your body with necessary bacteria aiding in better digestion. Your skin shows the effect when your digestive tract runs well. Green tea is loaded with anti-aging antioxidants, whereas, mint and honey used in the smoothie fend off ‘bad bacteria’. Pineapple Ginger Green Smoothie: It is a perfect green summer smoothie filled with frozen pineapple which makes it taste icy and delicious. Along with its taste, it detoxfies the body, helps improve digestion, increases blood circulation and is a good anti-inflammatory drink. Baby spinach included in the smoothie boosts immunity as it is loaded with vitamins, antioxidants and live enzymes. Fresh ginger adds more benefits to the green drink such as boosting metabolism, improving immunity and cleansing blood. Sour Apple smoothie: this smoothie contains granny smith apple, Vanilla Greek Yogurt and fat free milk. 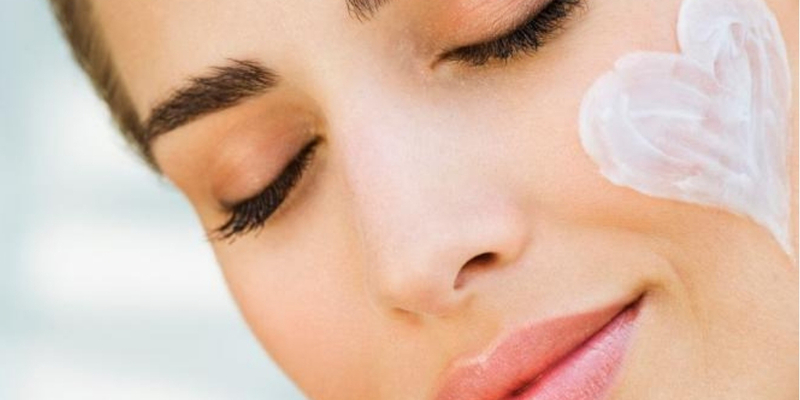 Flaxseed oil, which is rich in omega-3 fatty acids is beneficial for healthy skin. All the ingredients make this smoothie healthy and delicious. Kale, Mint and Coconut Smoothie: Mint and kale are two main ingredients used to prepare this smoothie. Both are anti-inflammatory in nature. Kale is known to increase skin elasticity and hydration. Antioxidant rich coconut helps remove free radicals caused by outside stressors, which damages your skin such as sun and pollution. Clear skin smoothie: Hemp seeds, dandelion greens, avocado and raw cacao powder make this smoothie delectable. This smoothie uses a protein powder made from hemp seeds, which is an important source of skin-boosting omega-3 and omega-6 fatty acids. The dandelion greens present in this smoothie are known for their effect on liver functioning and detoxification of the body. Avocado and raw cacao powder contain a hefty mixture of antioxidants, beneficial in making skin clearer. Basic Kale Detox Juice: This green drink can work over any other smoothie, because its nutrients are condensed and you don’t have any fiber so it is easy to digest. Since, it is easy to digest, not much energy is needed, therefore the body can utilize that energy to remove toxins. However, easy to digest isn’t the only key point, it is abundant in raw enzymes and nutrients and that is why it successfully detoxifies your body. Going green is the basic idea of consuming more green fruits and vegetables through blending it into some mouth watering smoothies. 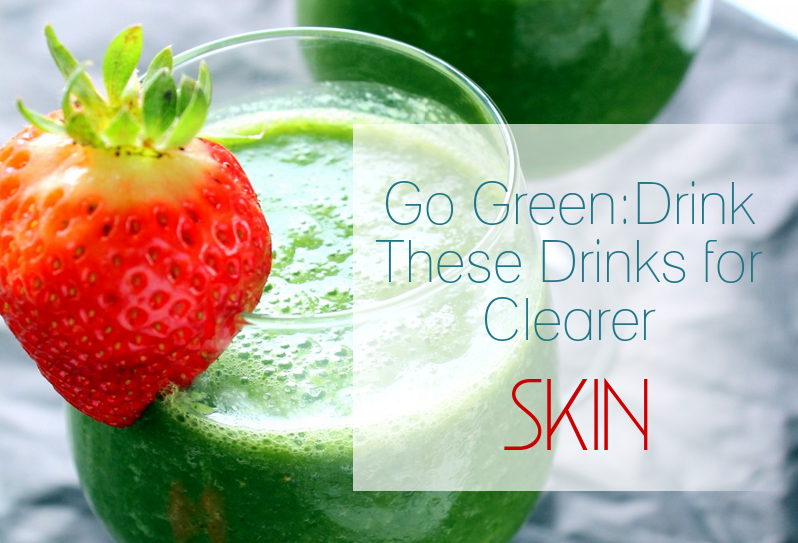 All these delicious green drink recipes will help you gain a clearer skin.